While many 12-year olds are playing video games or pulling pranks, this 12-year old came up with the idea for a winning app. Arjun Kumar won 1st place in the K-8 division of the 2012 MIT App Inventor competition. Arjun is a seventh grade student from Velammal Vidyashram school in Surapet, Chennai, India. His winning app is called Ez School Bus Locator. 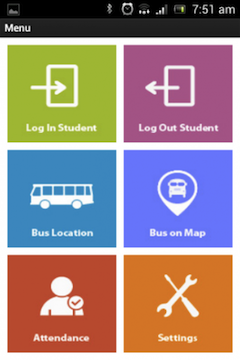 The app helps parents with and without smartphones view the live location of their child's school bus, check whether their child is inside the bus, and know when the school bus will reach the targeted destination. Arjun had the idea for this app from seeing the worry his parents felt when his bus would occasionally arrive late due to storms. Arjun's app has been released in the Google Play store and is also in the App Inventor Gallery. It has over 2000 downloads in the gallery! Arjun has already proposed this app to his school administration and gained permission to run it as a pilot program this Spring. Only in the 7th grade and this kid is making a difference in the world. Arjun advises other young people interested in Computer Science and app development to "Look for problems around you, and get inspired from them. You'll see a lot of opportunities to use your (own) skills to make this world a better place to live!". Currently, Arjun is working on creating an app for women and teens safety. This app will send an SOS message to a preset number in case of dangerous situations. If you're interested in learning more about Arjun, check out his website: LateraLogics. Check out the original article about Arjun and his winning app in the TechRepublic.